This class is part of our new Monthly Craft Social - we're calling Popcorn Club! Something fun and accessible for all levels of crafters and budgets. 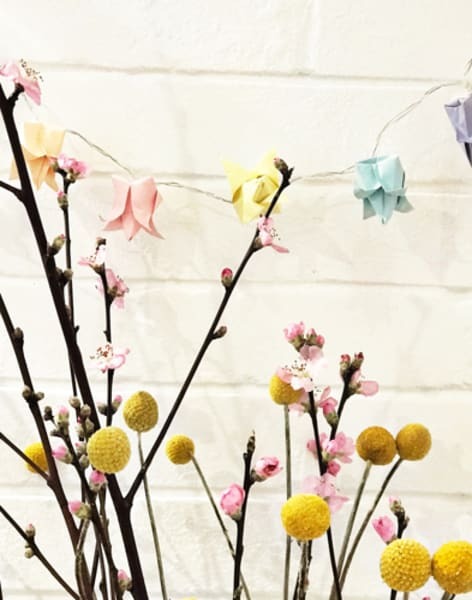 We hope you will bring a friend and have a fun night hanging out with new like minded crafty souls and just enjoy a couple of de-stressing hours. Its gym for the mind! 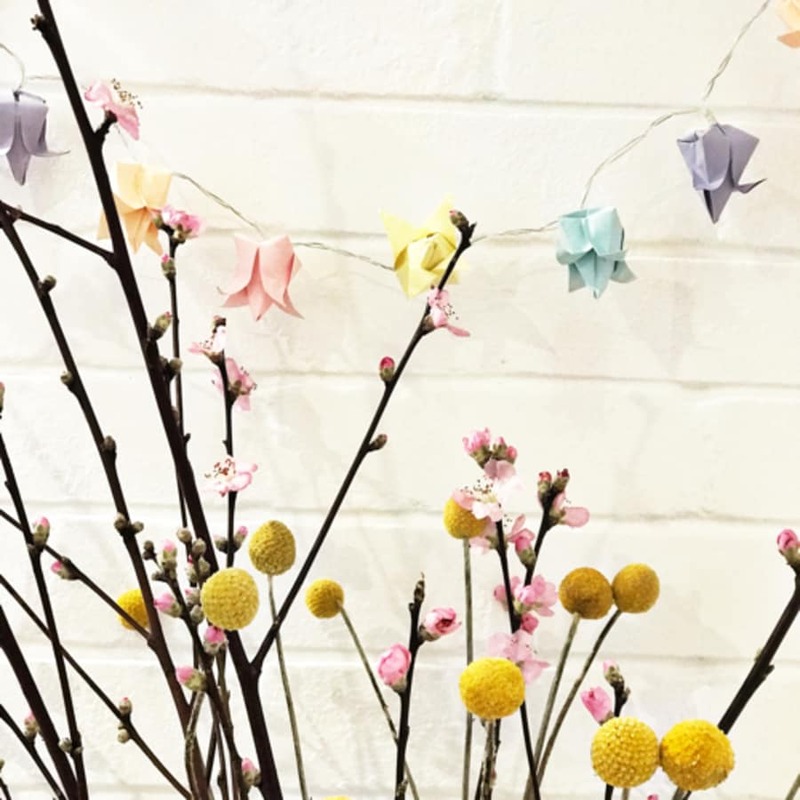 How to transform your creations into a beautiful fairy light garland. 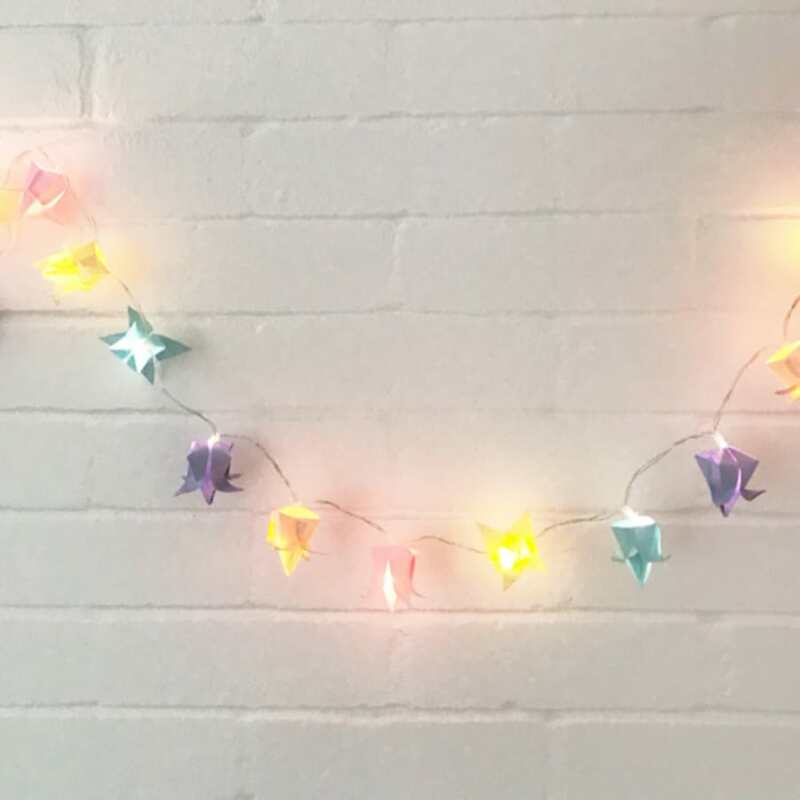 A gorgeous fairy light garland to adorn your home! A relaxed and inspired you - ready to try this craft at home and make many more! Heard of the impossible secret 9 paper fold? Its rare yet simple. You simply take an A4 piece of paper (we recommend thin printer paper) and fold it in half nine times. Send me a photo if you manage this! You do not need to bring anything to this class. Our Popcorn Club includes tea, coffee and bags of popcorn for each guests. You are very welcome to bring your own drink too. 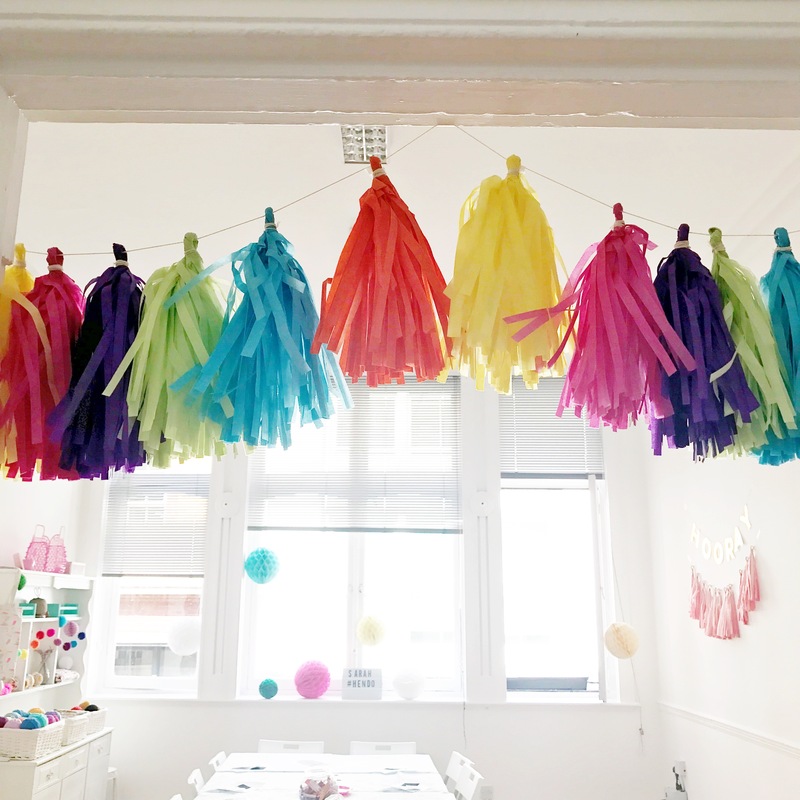 This is a drop in class - no need to arrive on time but we suggest allowing at least an hour to create your Spring Fairylight garland.